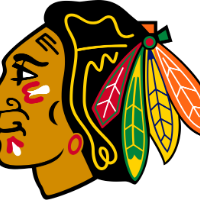 Coming off of an overtime loss to the Minnesota Wild, the Tampa Bay Lightning took their anger out on the Chicago Blackhawks, winning 6-3. The Tampa Bay Lightning took on the Chicago Blackhawks in their second game of a 10-game road trip. 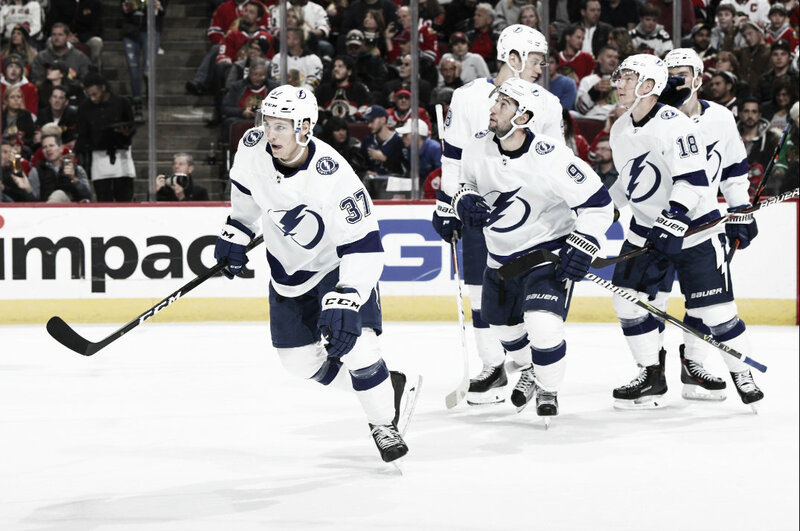 Their previous result, a 5-4 loss to the Minnesota Wild saw the Bolts grab one point to start their road stand, and were looking to capitalize against the Hawks. Almost four minutes into the first period, the Lightning got on the board first. Nikita Kucherov took the open space he had from the split defense of the Hawks and took on Cam Ward 1v1 and backhanded a top-shelf shot to give the Bolts a 1-0 lead. It took Chicago five minutes to get their first shot on goal, but netminder Louis Domingue was there to make the save, preserving the 1-0 lead for Tampa Bay. Chicago was able to tie the game thanks to Alexander Fortin who went five-hole on Domingue on a breakaway. As the first period was on its way to finishing, Domingue made not one, but two acrobatic saves to keep the game level at 1-1. The second period started off strong for the Lightning, with Tyler Johnson putting Cam Ward to work 30 seconds in on a breakaway, but the save was made by the Blackhawk goaltender. 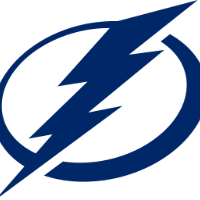 Tampa Bay would regain the lead after Anthony Cirelli whacked in a loose puck that Ward thought he had under his right pad, but referee Wes McCauley awarded the goal, giving the Lightning a 2-1 lead. 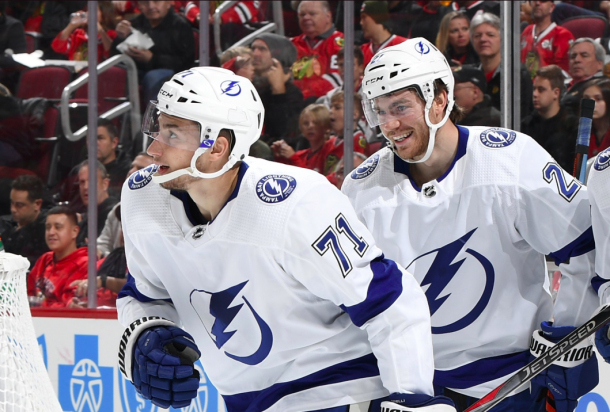 It was a goal fest late in the second period with Brayden Point and Yanni Gourde adding their names to the scoresheet to give the Bolts a 4-1 lead heading into the second intermission. The big man Victor Hedman added fuel to the fire with his goal in the third period that made the game 5-1 in favor of Tampa Bay. Chicago would add two goals of their own with David Kampf and Nick Schmaltz pulling the Blackhawks within two, making the score 5-3. But in the end, it was Ryan Callahan with the last laugh with his empty-net goal from his own end of the ice to seal the deal, making the final score 6-3. This game saw a lot happen. First, we see both goaltenders each get a penalty after a goal. Then a goal that was practically assisted by a linesman. Next, the Lightning got their first road win and let in their first powerplay goal of the season. Finally, the Bolts also set an NHL record with most shots on goal in one period. In the second period, the Lightning recorded 33 shots on goal. That is the most by any team since 1997/98 when shots by period became an official statistic. Tampa Bay also established a franchise record for most shots on goal in a game, passing the mark of 52 that was set on Nov. 18, 2008, against in-state rivals Florida Panthers. Will the Tampa Bay Lightning have a historic night like this again during the season? Let us know on Twitter (@VAVELNHL_ENG).